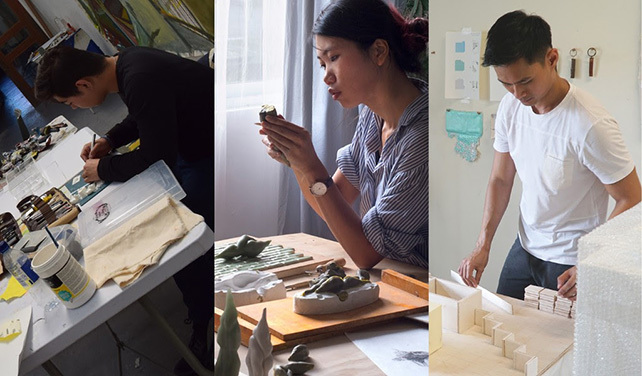 Back again for another exciting instalment, the Young Talent Programme (YTP), a joint initiative by Affordable Art Fair Singapore and ION Art, continues to cultivate young talented artists from Singapore and around the region. The sixth edition of the YTP will host the Winners’ Solo Exhibitions from 31 August to 16 September 2018, showcasing the unique works of the artists to local and International art lovers at the ION Art gallery. The sixth edition of YTP will present the distinctive works of three young and talented artists from around the region, exploring themes of migration, identity, and memory. Headlining this season’s Winners’ Solo Exhibitions are Bo Sung Yom, presenting ‘Immigration and Customs’, Faris Nakamura showing ‘The Light Between Walls’, and Xinwei Che, who will present ‘The Cradle of the House’. Building on the interest of previous years, the three young artists will lead tours and workshops every Saturday and insightful talks on Wednesdays about their practice.